PEI Kids presents workshops and trainings for schools, organizations, and community groups throughout the Greater Mercer County area; and support groups for child victims of sexual abuse and their supportive family members. Below are some of our offerings. 3) how to get them immediate help. PEI seeks community members interested in becoming certified Enough Abuse trainers, as well as locations interested in hosting workshops throughout the area. 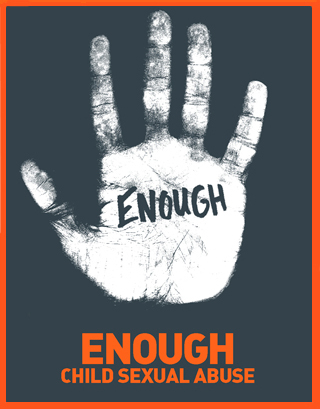 For more information about the Enough Abuse trainings and workshops, please contact Erika Hillman at ehillman@peikids.org or call (609) 695-3739. Support group meetings for child victims of sexual assault and non-offending, supportive family members are scheduled for the 2nd and 4th Wednesday of the month. If there are five weeks in a month, an additional support group/meeting is scheduled for the 5th week of that month. Please contact Dr. Juanita Brooks at jbrooks@peikids.org or call (609) 695-3739 for further information. In collaboration with local school districts, PEI Kids presents school-based workshops on topics, including bullying, child assault and abuse prevention, cyber safety and the rights of all children to be “safe, strong and free.” Each year, we present workshops in more than 60 Mercer County schools, reaching more than 13,500 children. Additionally, we offer trainings on these topics for parents, teachers and administrators. For more information, please contact Erika Hillman at ehillman@peikids.org or (609) 695-3739.